When I worked for an employer, during my first week of training my manager asked me to create an email folder titled ‘canned responses’. I had no idea what that meant. I filled it with the email messages I was told to place there and went on about the rest of my training week. I soon learned how important that canned responses folder was and now that I’m self-employed, I lifted that tip to start implementing a similar system for my business. The truth is, email can be a true soul sucker. It takes a ton of time and energy to manage a busy email inbox. If your emails are all about the same topics, it can start to seem boring or like an inefficient use of time to send the same responses day in and day out. This is why I love canned responses and autoresponders. Here are a few reasons why you need to start using them for your business along with how to get started. The most common benefit of using canned responses is the fact that it saves you time. No one wants to spend a ton of time repeating the same stuff to people over and over again. At the same time, when you get inquiries about your business, you don’t want to ignore anyone or give off the wrong impression. Using canned responses can help you limit the time you spend doing unpaid email work. Going through emails requires a ton of mental energy especially if you have to respond to them. Most professionals give themselves a 24-hour email response deadline. Even so, the average solopreneur can receive hundreds of emails in just one day. 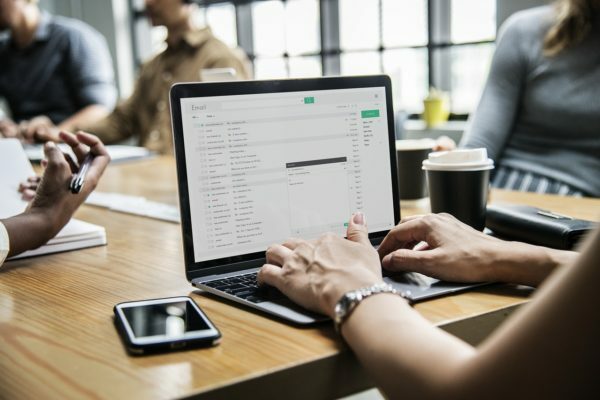 If you’re receiving emails that fall into a handful of categories, creating some canned responses will allow you to preserve your mental energy for other tasks that will help move your business forward. If you have an important announcement to make, setting up a canned response or email autoresponder will be a great way to get the word out with very little effort on your part. If you’re trying to set expectations with clients or customers, a canned response is an easy way make sure that everyone who’s contacting you is on the same page. For example, if you do generally respond to emails within 24 hours of receiving a message, that will let people know that you may not respond within the hour. Let’s face it, no one wants to be glued to email all day long. If not controlled properly, your email inbox can take over all your free time. Canned responses can give people an automatic or general response in a timely manner so you don’t have to sit at the computer all day and do it yourself. Now that you know why canned responses are so important if you want to have an efficient work day, let’s go over the common types of canned responses you can create and how to set them up. If you receive the same questions day in and day out, set up a canned response to answer those frequently asked questions or provide additional resources. Do people need more details after buying a product or service from you? Do they often have some reservations or questions before they decide to start working with you? You can set up a special page on your website and include the link in an autoresponder or canned response. Want to present people with specific actions to take? Your canned response can serve as a directory showing them how to book a consult with you, provide a review of your services or products, or pay your invoice. My accountant uses an online portal to communicate with his clients and safely share tax documents. I love that he includes it in every email he sends because it prevents clients from having to email and ask him for it. If you have specific pages, tools, or resources that your customers or clients need to access regularly, be sure to create a canned response or autoresponder so they can the options at their fingertips without having to interrupt your day with an email. Use your canned response to market and promote yourself because you can. Allow people to book a meeting or consult with you or share your latest blog post or media feature. This can be a great way to build credibility and even book business passively. There are two main ways you can go about creating your canned response. You can create email drafts to store in a separate folder. Then, copy and past them as a quick response to get through your email messages quickly or have an assistant do the task. Gmail allows you to create a canned response easily by going to Settings —> Labs —> then choosing ‘Enable’ under the canned response section. From there, you can create and edit your own custom response so you can easily use it whenever necessary. Or, you can create autoresponders that get sent out with no additional effort on your part. I tried both methods and they are each effective in their own way. Copying and pasting an email while adding a change or two is a pretty mindless task. It definitely beats typing out the same thing from scratch over and over. Autoresponders are great too, and you can usually set them up through your email service provider. If you have Gmail, it’s just a simple tool you’ll use. Open your Gmail account and click the settings bar (the little wheel). Click on settings. Then scroll down to the ‘vacation responder’ option and create your message. You can also set a start and end date so it’s great to use if you’re actually away from the office, or if you just want to send out a temporary message. Creating a canned response or autoresponder is easy and can help you avoid distractions during your day so you can be more efficient. I honestly don’t know why everyone doesn’t set one up. Be sure to edit and update your responses as needed and limit a lot of email back and forth so you can focus on what truly matters – producing value for others and growing your business!